In past blogs Ive written about the first recordings of the Moog Modular Synthesizer (http://tinyurl.com/mr9h6be) and Moog Obscura (http://tinyurl.com/nfphav5), odds and ends from the Moog Modular catalog. This time Im going to take a crack at listing a few of the rarest recordings made with the Moog Modular Synthesizer. And I would like to enlist your help in making this list more complete. What makes a rare recording? First, they are not only obscure, but hard to find. I came up with the following three ground rules for making the list. First, the recording must have been a commercial recording, not a library or unreleased record. A special case is a promotional copy of a commercial recording, and Ive counted those. Second, these had to have been recordings of the Moog Modular Synthesizer (not the Minimoog, Micromoog, etc.). Third, Ive tried to confirm their rarity using Popsike.com, the website of auction results for rare records. I cross-checked Popsike.com results with Discogs.com results for records that were currently for sale, and I determined that a combined record of 12 or less listings on Popsike and Discogs would be required to make the cut. I thought that these criteria, plus my experience in tracking down records, should add-up to a reasonable measure of rarity. However, this is where readers of this blog come in. You may be aware of an equally scarce recording. If it passes the same vetting criteria, send me a Comment and Ill post it to the blog. Here are seven recordings that fit the criteria. I am listing them in the order of increasing rarity. Three of them are singles that did not appear on an album, as far as I can tell. The rarity factor shown is simply the total of Discogs and Popsike listings at the time when I wrote this (June 2015). This was the initial release of Bo Hanssons widely reissued album of music inspired by the fantasy The Lord of the Rings by J. R. R. Tolkien. It has been reissued at least 43 times and in ten different countries. It holds up really well as one of the most successful long-form Moog works, although the Moog often takes a back seat to the guitar and organ. 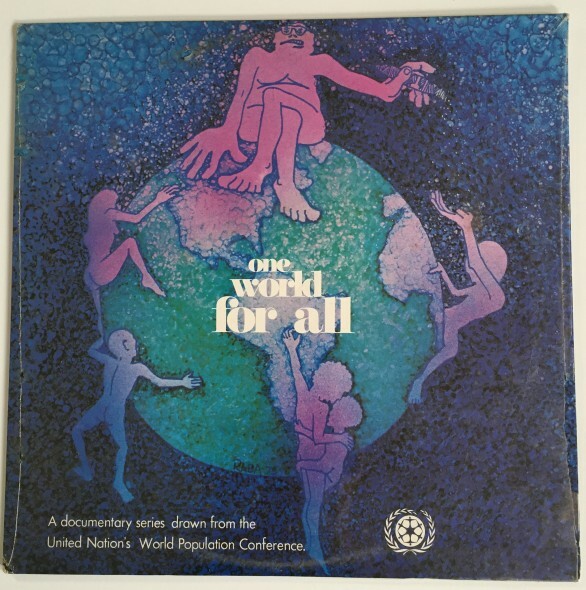 The first English release, with a different cover, was in December of 1972. The work features the Moog Modular Synthesizer, organ, guitar, bass, and saxophone. 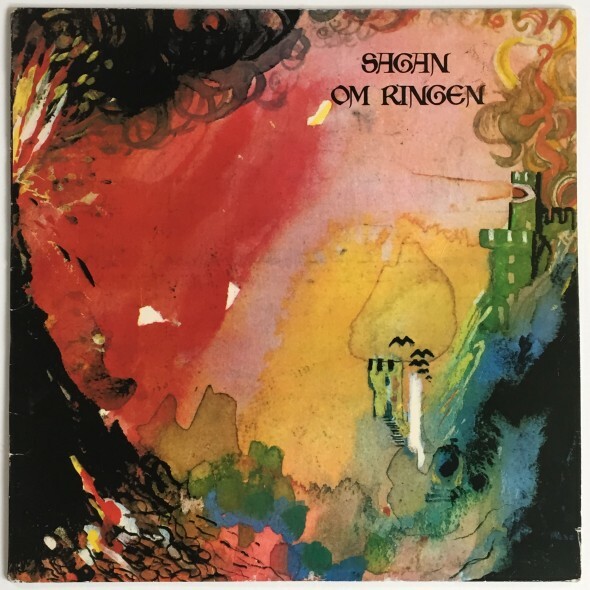 So, although this is one of the most reissued Moog albums of all time, this original Swedish version is one of the scarcest. Although this recording was released in 1971 on the German Polydor label, it actually represents early work that Paul Bley and Annette Peacock were doing with the Moog Modular Synthesizer in 1969. 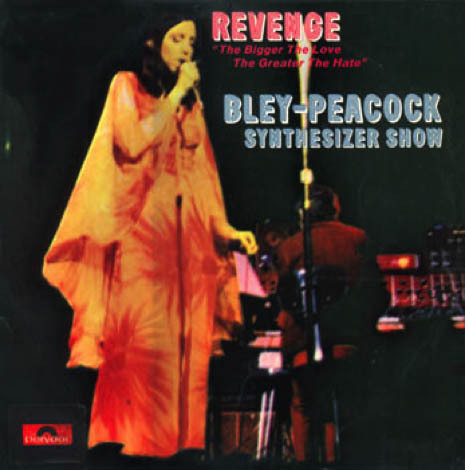 By the time of this recording, Bley had become a spokesperson for the new ARP instruments company and had switched from Moog to ARP. Part of the recording was made at a late-1969 Philharmonic Hall concert in New York. Two remaining tracks, “Mr. Joy” and “I Belong To A World That’s Destroying Itself, were recorded at Century Sound Studios. This represents the kind of experimentation that jazz musicians were doing when they got their hands on a Moog Modular Synthesizer. The Moog was combined with piano and Fender Rhodes, adding embellishments and distorting Peacocks vocals and other instruments in the band. This recording is a great document of a short-lived experiment in electronic jazz history. 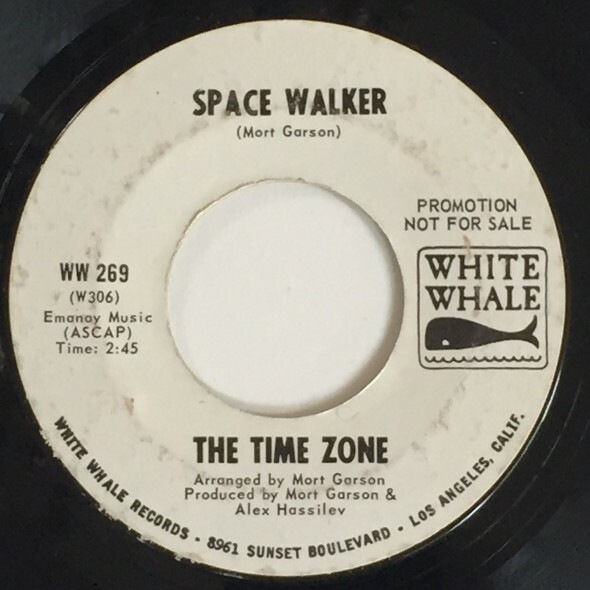 This is a promotional single with the same recording of Time Zone on each side. It was composed by Mort Garson under the pseudonym Space Walker and produced by Alex Hassilev, an early Moog owner who also produced Zodiac Cosmic Sounds in 1967. This recording comprises Moog effects with a rock instrumental, an attempt to capitalize on the early novelty of the synthesizer. Hyman told me that this single had two of the three Moog works that he did without the programming help of Walter Sear, the owner of Sear Sound who rented them the synthesizer. The other was released on 1972s The Brass Menagerie (Project 3 Records, PR 5060 SQ). 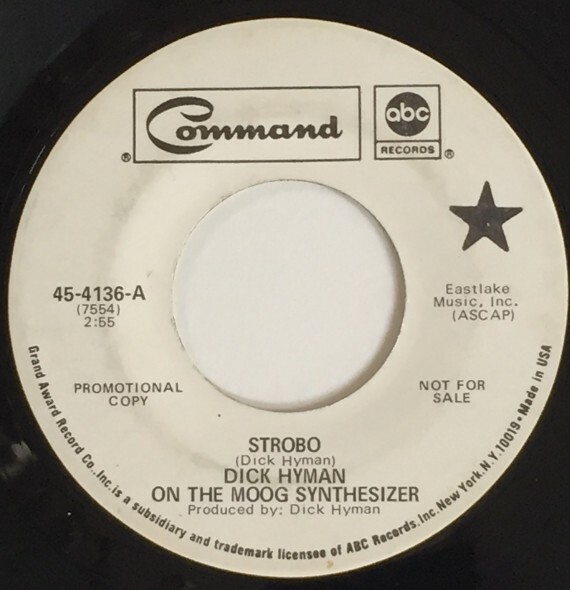 For this single, Hyman created Strobo and a cover version of Bob Dylans Lay Lady Lay, which is charming with its strong Moog imprint. Hyman always took the instrument to its extremes in terms of voicings and effects, letting the Moog be the Moog. There are at least two versions of this 45a white promo label and a retail issue label. Mine is a promotional copy. I know very little about The Earthquakers. 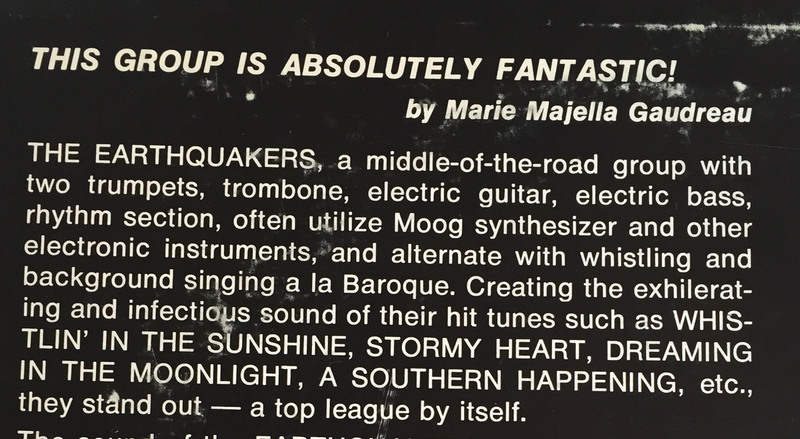 The Moog Synthesizer is mentioned in the liner notes. 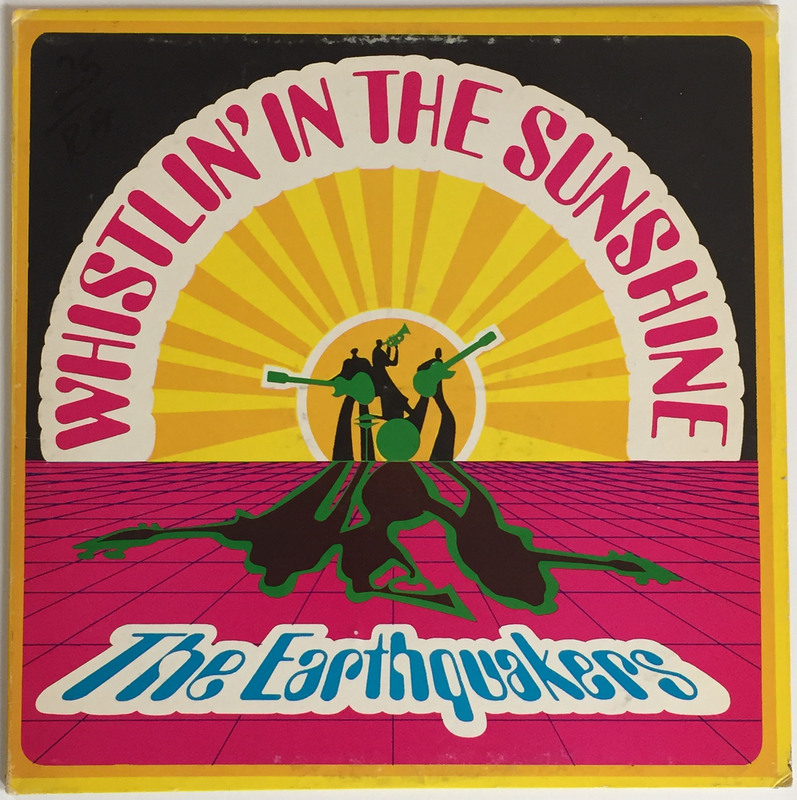 The album comprises pop instrumentals with a Tijuana Brass style horn section, rock combo, chorus, Moog, and whistling. A little schizophrenic in concept, the album could have been made by studio musicians. Music director Issachar Mironand recorded the album in New York at Star Records Enterprises Inc. The Moog is used in the mix on four tracks, in combination with some whistling, white noise, and some other effects. There are two promotional singles, one with four tracks and one with two tracks from the groups album released in December 1968. Jazz critic Leonard Feather produced this recording. 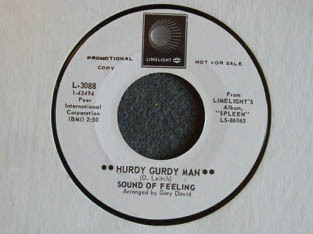 Hurdy Gurdy Man has Moog sounds by Paul Beaver. 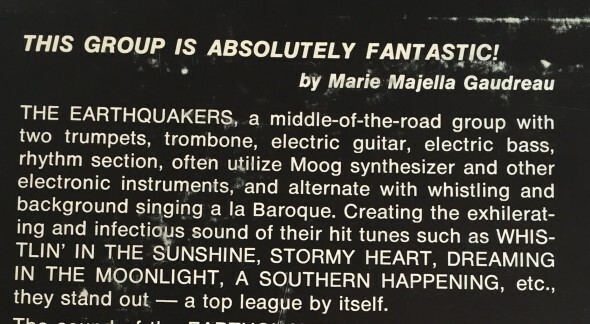 The other tracks do not feature Moog. The Sound of Feeling was a vocal group that did jazz style covers of pop songs. My vote for the scarcest of all Moog recordings goes to this item. For a composer of his stature, it is almost impossible to find recordings of La Monte Youngs works. This is largely due to their naturethey were long, often taking several hours or, in the case of his Dream House environment, were ongoing. Still, examples do exist if you can find them and wish to make a small investment. 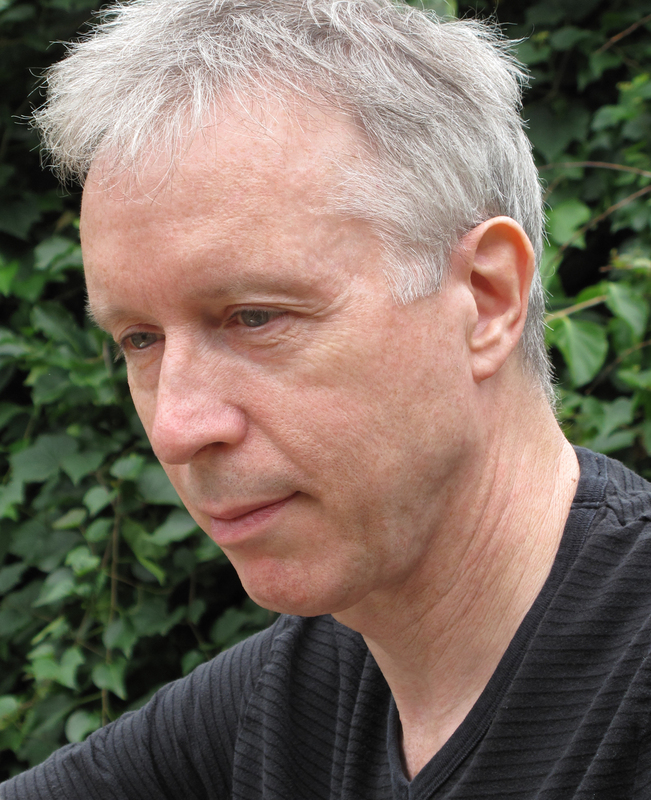 One of his earliest works was released by SMS No. 4, an arts magazine in New York. It was part of a package for subscribers that contained an assortment of mostly printed works by many artists. Drift Study 4:37:40-5:09:50 PM 5 VIII 68 NYC is this extraordinarily rare 5-inch reel-to-reel recording of Drift Study. Young had acquired several Moog modules for producing the droning, sine-wave music represented here. There have been cassette and bootleg versions of this work over time, but of the original tape, only 25 of the 40 copies were released to subscribers of SMS; the rest were lost and unaccounted for.1 Young used the oscillators, filters, and mixer of the Moog to precisely tune the instrument for certain prescribed frequencies. He would change the frequency and amplitude ratios and allow the music to drift in an out of various phase relationships. Marian Zazeela created the original packaging and written instructions/credits for the tape. I have seen one copy of the tape for sale for about $6,000 from a vendor in the United Kingdom. You can go to Young/Zazeela Mela Foundation for the availability of current recordings: http://www.melafoundation.org/LYrecscat.html). I have a reel to reel that the only markings on it read “Moog Love”. No idea if this is an official album or a compilation someone made, but it is awesome.